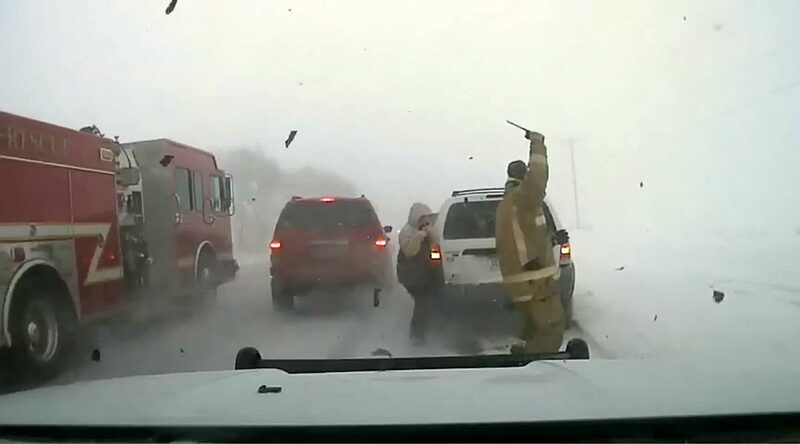 This is the frightening moment a police officer was hit by an out of control car which slid across a frozen road. 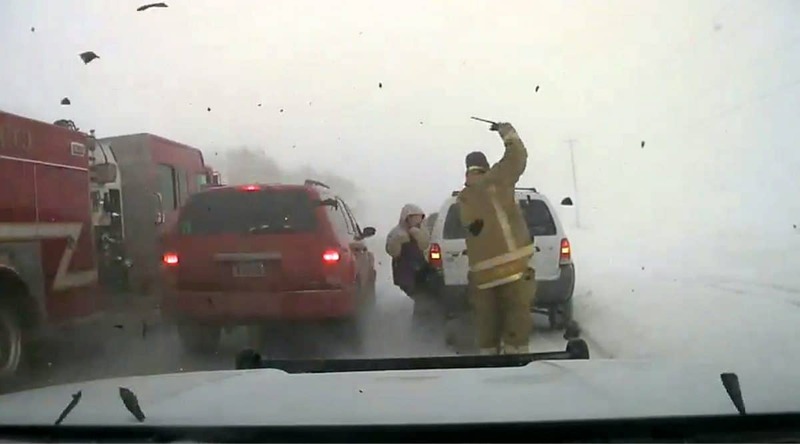 The shocking clip appears to show the car rushing past Deputy Brandon Soll’s police cruiser, after he stopped to help a motorist in -8 degree temperatures. 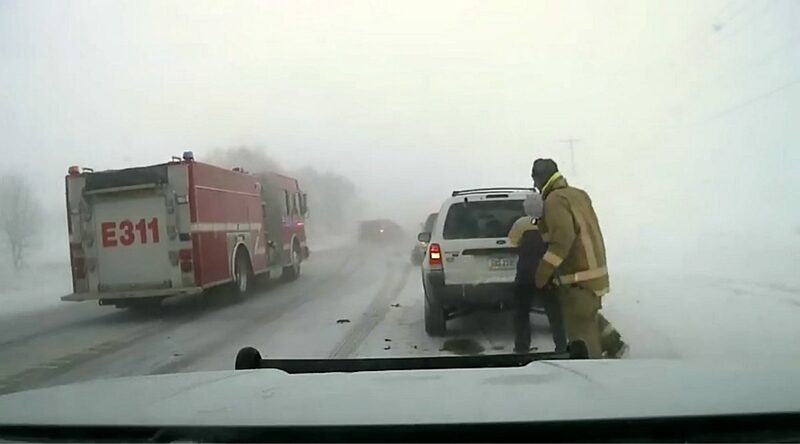 But the motorist appears to slide out of control on the snowy road, and police said he hit Deputy Soll, who was standing near a fire engine further up the road. Miraculously, despite being thrown to the road, he only suffered minor injuries. The video shows him being knocked off his feet, after two other people – a road official and a driver – leapt out of the way. Dallas County Sheriff’s Office in Iowa said it released the clip in a bid to get people to slow down on the road. A spokesman for the force said: “We are expecting some blowing snow and bad weather over the next couple of days. “Let this be a reminder to slow down! “Our deputy was hit by a car while working on a traffic accident. The accident happened on Highway 44 just a couple of miles east of Dallas Center in Iowa on January 28. Police said the driver of the car was given a police citation – a ‘ticket’.